Australia. The birthplace of Shiraz. The wild frontier. All of these things conjure up images of the pioneering spirit of the Aussie wine industry. With Two Hands Wines, this story continues with quality, not compromise, from some of South Australia’s best known wine regions. 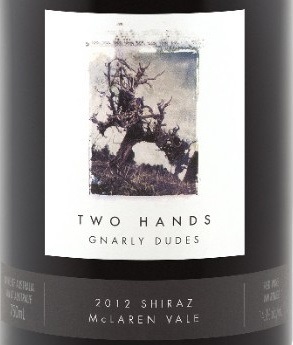 The idea for Two Hands was born in September 1999, when founders Michael Twelftree and Richard Mintz set out to make their own mark on the wine industry with the goal of making the best possible representation of Australian wine: Shiraz. With so much Australian wine being exported around the world, the duo knew that best in class wines were not always being represented globally. With an eye on the prize of making spectacular iwnes that representaed each of the regions and blends, as well as representing the all encompassing terroir, they set out ot highlight the trademark grape of Australia. The first vintage was produced in 2000, and today, they have three distinct product lines and over 10 wines in production. Throughout the month of October, we were able to taste six spectacular wines from Two Hands, from the Garden Series, the Picture Series, and the penultimate Ares. Sharing our conversations with winemaker Ben Perkins, as he walked us through his inspiration and style choices. The Picture Series demonstrates outstanding value in Australian Shiraz (and Cabernet), while showing the key differences between Barossa and McLaren Vale. With the Garden Series, Ben delves deeper in to the versatility of Australian Shiraz. U unfortunately, one of my bottles was damaged in transit so I only have the delightful 2014 Lily’s Garden McLaren Vale Shiraz to review but it was, indeed. delightful. Finally, the masterpiece and flagship wine, the 2012 Ares Shiraz. This deep, dark, dense and unctuous wine was res pendant with dark berries, rich chocolate, ciagar box spice and graphite as well as undertones of smoked meat. With Shiraz being the cultural and literal heart of the the Two Hands story, this wine is carefully selected every year from the very best of the 1,500 barrels. The Ares is a cuvée of these hand selected barrels, and is the pinnacle of the line. Aged for 2 years in mostly new French oak, this big boy can take it, and the oak is well interested and smooth, holding up this grand dame of Two Hands. A very special thank you to Two Hands Wines and #winestudio for bringing these wines to us. #winestudio is an interactive beverage education program organized via Twitter, where each month, a different these is selected to build an online conversation connecting winemakers, producers, bloggers and consumers.